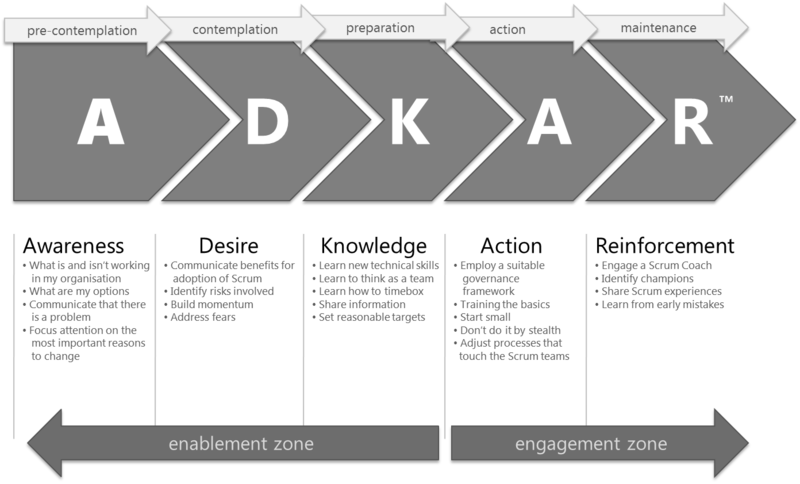 The model dates back to James O. Prochaska who recognised that change occurs in multiple stages of learning from pre-contemplation through to action and reinforcement. The ADKAR model is a framework for understanding the dynamics of change at an individual level. Using that understanding as a foundation, the model can be expanded to frame the change process within any type of organization.